graphic design & marketing by Hairy Goat Design. Slick and simple approach to newsletter design featuring colours and typography taken from the logo. 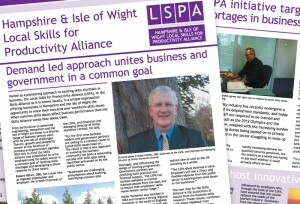 This newsletter design fits seamlessly in with the client’s existing corporate style and message. Our experienced designers listened to the client’s requirements and turned this good-looking newsletter out on time and on budget. Our charity receipe books were delivered on time and are selling like hot cakes so far! They’re brilliant.